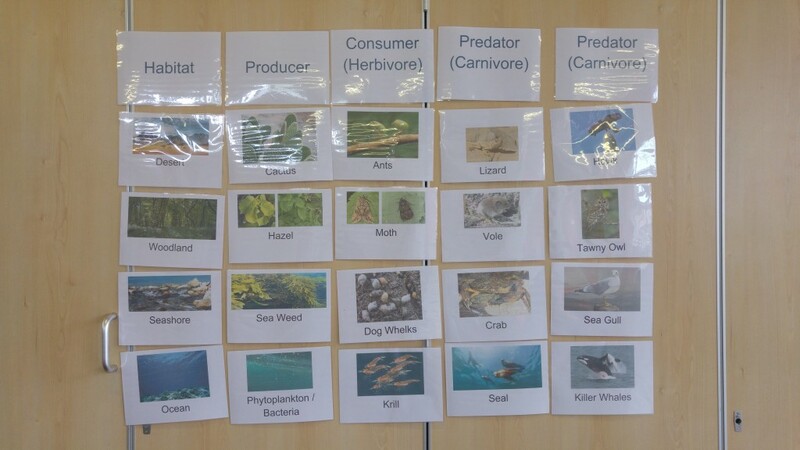 Year 3 have been learning about food chains, how predators have developed to catch prey and how prey protects itself from being eaten. They’ve learnt key words like habitat, producer and consumer and have discovered that there is a lot more to animals than cute fluffyness! 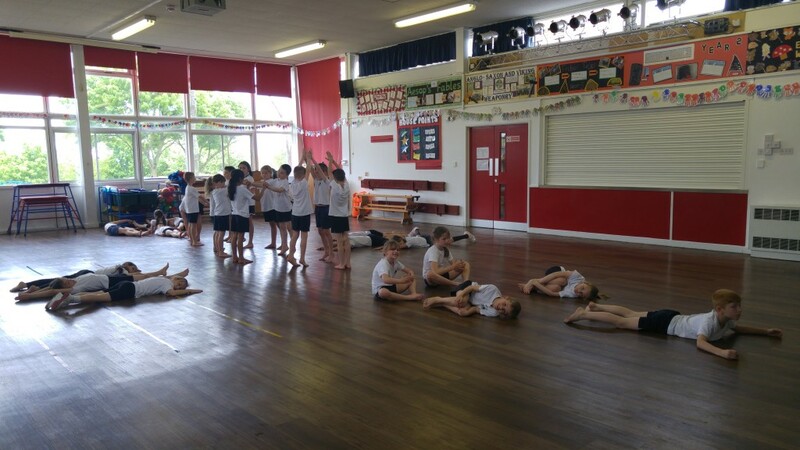 We brought the theme into dance class and have had a fantastic time exploring food chains from four different habitats, Dessert, Woodland, Seashore and Ocean. Warm up explored how prey protects itself. There were movements about spikes (year 3 even saw a porcupine when they went to the zoo! ), hiding, fleeing, shells and threatening behaviour (such as the skunk wiggle!). Cool down was about Predators with lots of reaching, stretching, creeping and, right at the end, pouncing! The Cactus: This was the very first Producer we looked at. It was in the Dessert food chain and it is a plant. The cactus protects itself with its spikes so the group made spiky movements. This was also the very first movement in the dance so they stayed absolutely still at the beginning and then changed to movements that were quick, jerky, jagged and small. The Eagle, Owl and Seagull: These are predators and they all appeared at the end of our food chains. The dancers were doing really well and I knew they were up for a challenge because I worked with them last year on Tudor Dances so I use the three birds to teach the groups a little about motif development. They choreographed three movements for the eagle. 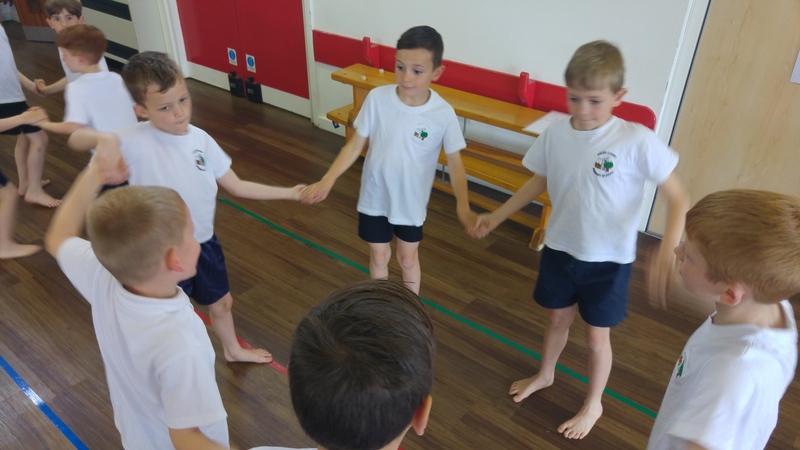 In the next lesson we developed these into movements on the spot for the owl and, in the third lesson, the group moved as one around the room to be the sea gull. The Killer Whale: This was the very last item in our dance and it became the ending position. It was a shape rather than a movement, but the dancers did have to work on their transition from seal to killer whale. I said the them, “We’re going to make a giant killer whale using everyone in the class. It’s tail will be here and it’s head will be here. What other body parts do we need?” Each group had different ideas, but we ended up with two whole class shapes containing eyes, ribs, fins, teeth and other parts. 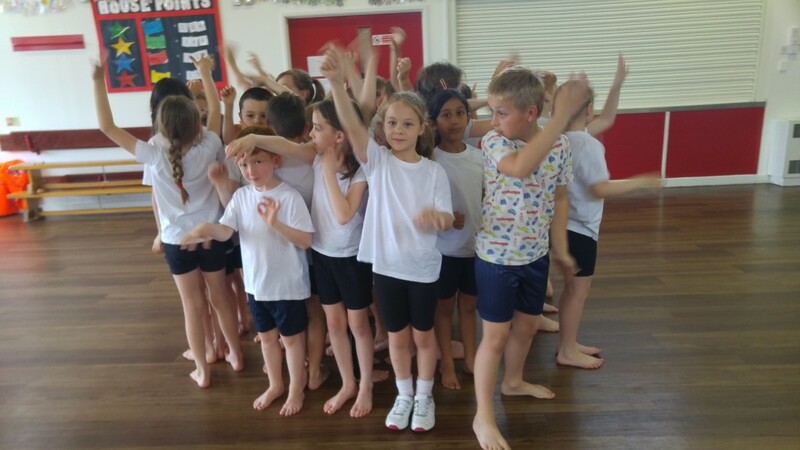 In the last lesson before performance we focused on movement quality and the dancers learnt the difference between describing what the movement looks like and describing its quality and how it feels. By the end of the sessions they had really got the hang of it and both groups performed to camera spectacularly. One dancer said to me “It’s better than normal dancing because I can feel how the animal feels.” They completely embodied the food chairs and worked amazingly well as a team, flowing through the dance and moving seemlessly between the producers, consumers and Predators. The dancers have been great fun to work with and have performed beautifully through out. I hope they’re really proud of themselves and their class team. I hope I get to do this theme again one day as it’s been a really good one! Here’s the Auto Awesome video, enjoy!